Welcome to the MaKuYa Culture Museum and Learning Center. This museum is an educational project under the larger umbrella of ADEA (African Development through Economics Education and the Arts) a registered 501(c)(3). In income strapped countries such as Tanzania public and government support is very limited. 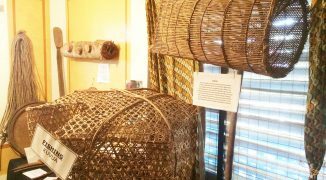 ADEA & the MaKuYa museum depend on the contribution of individuals and organizations to keep our doors open. Please join with us to provide opportunities for this community to enjoy the fun of learning and discovery and the celebration their local culture. 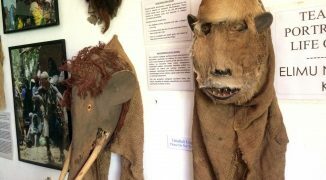 With no funding for classroom visual aids the MaKuYa Museum provides artifacts, maps, activities, and games to enhance learning for students and all visitors. Unlike most classrooms, we are all about engagement, asking questions and being asked questions. if we don’t know the answer, we try to find out. Our discover collection is growing. We have filled a room with maps ranging from Tanzania to the world. We are using local passion for football/soccer as a stepping stone. Some of our visitors have never seen a map nor a globe. Some are not aware of the earths movement and rotations. We speak of moons, plants, stars, the oceans, rainbows, and more. Formal education for young people has separated them from the stories and histories of their grandparents and culture. Most of their elders’ memories remain undocumented. We invite elders to share with the youth, and aspire to record their histories and memories before it is too late. For these reasons and more we are seeking support to keep our efforts going. The Makonde, Makua, and Yoa tribal communities have a rich culture that for decades was undervalued and shunned by colonial and socialist eras. 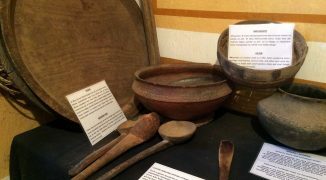 We are amassing and displaying artifacts and related stories for locals and visitors to discover an appreciate the local heritage. As it gives way to modernization and imported things, there is urgency in our work. Weekly during 2018 we hope to publish a traditional story told in Swahili and in English to share local ways of teaching lessons and explaining life along with entertaining. These can be enjoyed by classrooms, families, and everyone. The people of Mtwara are crazy about football (soccer). They know team names, cities, countries, and players. But ask them if they can locate these places on a map (or if they have ever seen a map) most will say “no”. Using the principle we learn best building knowledge on knowledge, we are pairing the matches leading up to the 2018 World Cup with maps to help our visitors get to know the world. 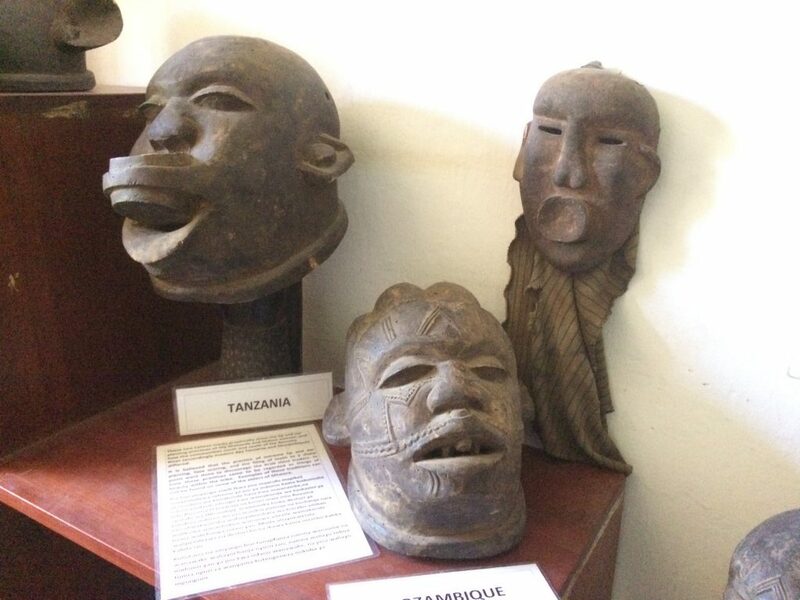 Collecting the histories and stories of the Mtwara region and the artifact in our collection is an essential activity to better understand this region and its people. 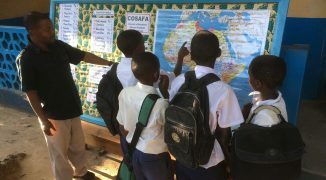 Their life stories related to social activities, politics, community, relationships, the environment, gender relations, and so much more provides a rich and deeper understanding of the inner workings of Mtwara. Their explanations of their relationship to our artifacts provide a broader and better understanding of how they where used and perceived, and thus improving our museum. When funding permits we will record as many interviews as possible with elders across the region, because every day that we wait we lose windows into the regions past as elders pass away. 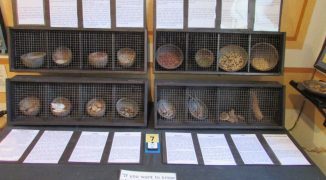 We have a large collection of artifacts representing the various aspects of life at home or in the community. These items play a part in dress, cooking, farming, hunting, fishing as well as births, marriages and death. 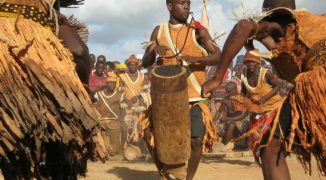 Music, dance, games and entertainment play a big roll in the traditional Makonde and Makua lives. We have a growing collection of games and instruments for our visitors to see, hear and even play. With the help of village elders we have amassed a collection of native foods, herbs and seeds found in the region. As well we explain through a “Yalitoka wapi?” “Where did it come from?” challenge to understand the introduction of non-native foods to Africa. The Makonde people have a long tradition of carving, initially for the production of masks for performance. Contemporary carving grew from the wishes of foreign visitors which began centuries ago with Arabs and Portuguese using ivory and African Blackwood. These include a variety of figures, statues and useful objects. 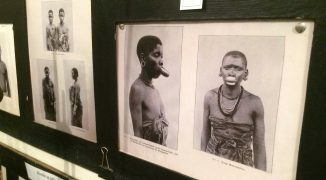 Images taken from a 1908 expedition through the Mtwara region provide an invaluable opportunity for younger Tanzanians to see the famed traditions of face scaring, teeth filing, and lip piercing in the Mtwara region. Memories of these traditions are still represented in dance and art forms. In the Discovery Center we explore things connected to local and familiar realities: Reading maps, understanding natural phenomenon such as the moon, sun or a rainbow, the earth rotation, sea life and more. 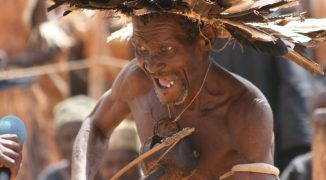 As the peoples of southeastern Tanzania did not traditionally keep cattle; hunting, trapping and fishing were an essential part of their lives. Fishermen in the coastal regions made traps and small dugout boats (mtumbwi) for fishing, while people living inland developed fishing traps for the rivers, and cleaver contraptions for catching wild animals as small as rats and birds to as large as elephants (though not the latter to much these days). 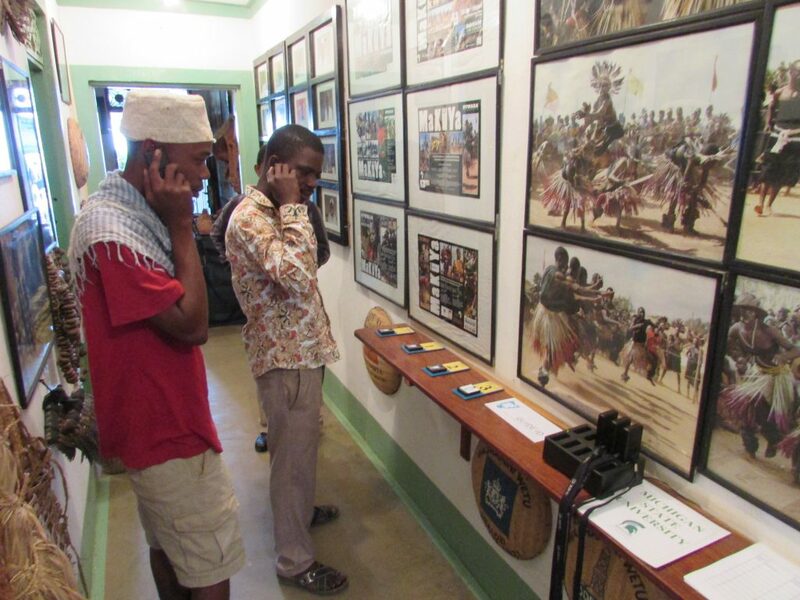 The use of audio devises has made our exhibits more accessible to a largely functionally-illiterate population. 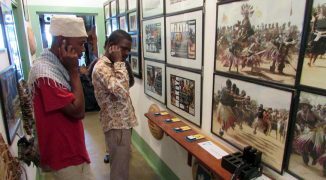 Not only can they hear commentary on the objects, they can also hear the sound of musical instruments and interviews with elders about museum content. Additionally, there are a few quizzes for more interactive learning. Some visitors appreciate that they can move through the exhibit quickly. Other, more timid visitors (often elders) appreciate that they can explore the museum on their own without the guide. It is not uncommon for us to begin a tour with the audio devises, and then augment the experience with a guided tour when time allows. GUIDE-ID of the Netherlands has generously agreed to let us continue to use their audio equipment without charge. Thank you for this general gift that allows us to use this as most urgently needed. ADEA continues to support the Maasai Boma School in Esukuta, Kenya. ADEA help found the school in 2008 with it’s first kindergarten class of 20 students. It now has 350 student from Kindergarten to form eight. 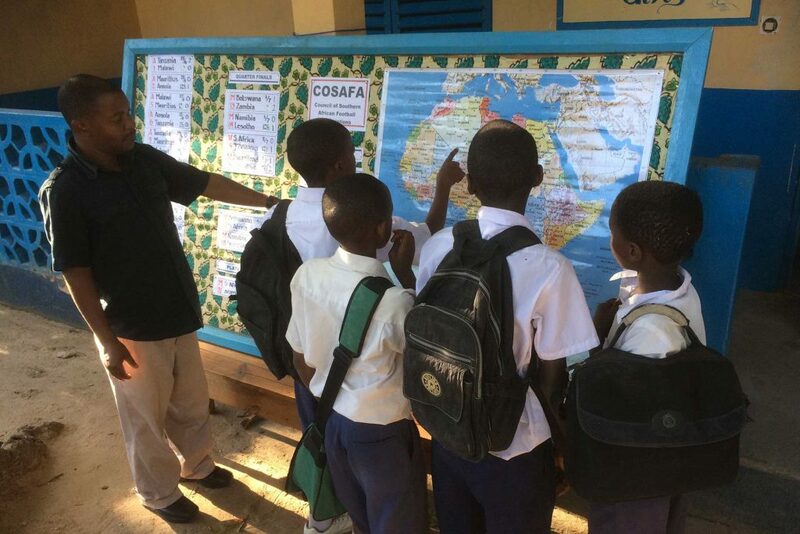 ADEA has committed to minimally support the head teacher who leads a team of seven teachers. Please consider helping us to meet this cost for a month or two (or more). Do you have maps, posters, models, games, books, microscopes or anything else that would inspire discovery of nature, science, history, geography, etc. We would be happy to receive them in our museum to enhance our Discovery Center. If you would like a tax-deduction for the items and shipping please send an email to douglas@adeaafrica.org stating what you have sent, its value, and the shipping, and I’ll send you a letter from ADEA for your tax purposes. 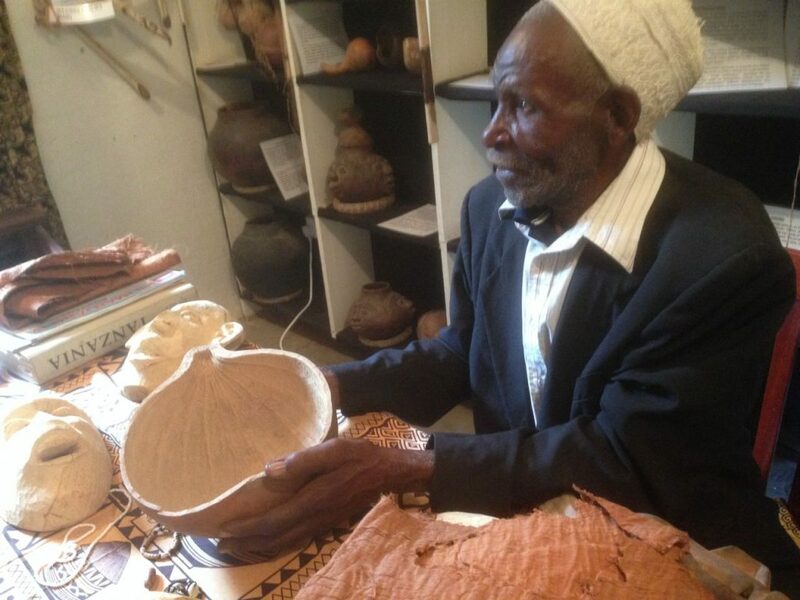 In a corner of Tanzania where languages are not written and oral traditions the norm, it is the accounts and stories of the elders that provide the context and histories of the items in our collections. 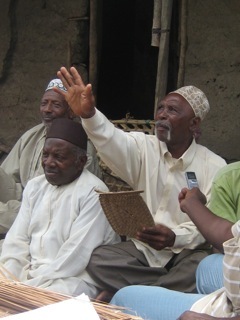 Eager to share, elders are exposing the seeming simple, but in reality richly diverse history of the region related to customs, historic events, music, daily life, marriage, birth, death, gender roles and practices, and much more. As the older generation is passing away such interviews (and their recording and transcription) is invaluable and even crucial. Our curatorial team wages, utilities, maintenance, stationary needs, and minor improvements and acquisitions costs are required to keep things running well in our museum. Your support through this gift allows us to keep the museum running and open for the public. Without a building we can do nothing. If you can’t afford a whole month, then half a month will help greatly. Rent for our building is a mere $97 a month, but without it we can do nothing. Please “Buy” a month or a few to help keep the foundation of our museum in the community. An increasing number of classes and school groups are requesting to come to our museum. Accepting their requests means the cost of hiring additional curators, printed material, small snacks, and other logistical items. Your contribution will allow us to facilitate and improve programs for a larger number visiting primary and secondary school groups. We’ve just never done it that way before! School Uniforms – “mine” or “theirs”?